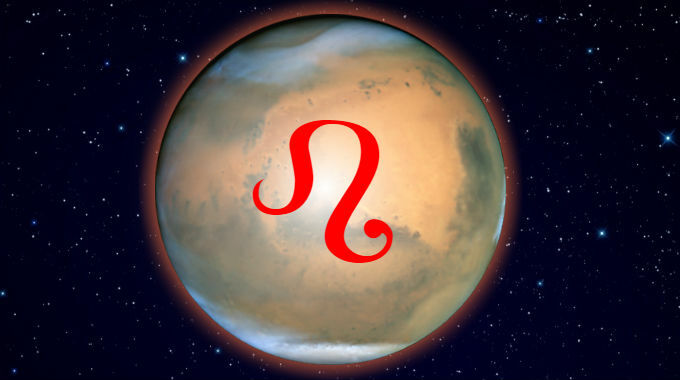 Mars in Leo is in a fixed fire sign and takes on the qualities of its ruler, the Sun. This is someone whose strength comes from their own will power and confidence, their display of ferocity and the power they wield with the authority of their platform and spotlight. They can be provoked by slights on their pride, or anything that diminishes their status as the best. They can be ballsy, brave and honorable, taking on leadership in stressful or dangerous situations. With Mars in Leo, this person can be cocky to a fault, and shouldn’t write checks they can’t cash, as it were. They can be good at team sports if they get to showboat or be the teamleader. Don’t insult their pride. This is especially true if you were born with Aries, Leo or Scorpio rising. Whether you experience the better or worse significations of this position depends on whether you were born during the day or at night, and the kind of aspects it makes with the other planets.